About once every two years or so, I pack up my traveling rig and head out for a few weeks of touring in Europe, mostly in Switzerland. It’s great to be able to live the road life briefly and then come back home to reality. Switzerland is an excellent place to play because the country is beautiful, the drives are short, the pay is good (well, pretty good), and the Swiss love American music and musicians. On the road life is simple – show up on time, play an incredible show, don’t be a jerk, and then do it all again. I can do that for about two weeks before I start missing my kids. We usually do about three or four shows in Germany, Austria, or Italy. The only downside of gigs in additional countries is that crossing borders without working papers can be difficult. Our record label does not pay for work visas. Instead, we are advised to say that we are “on vacation” every time we cross a border. Our tour manager always insists we will have “no problem,” but I am pretty sure that he has never actually tried it himself. So far we’ve never been denied entry, but it is stressful every time we cross. Especially the time we made a wrong turn at a crossing between Switzerland and Germany. 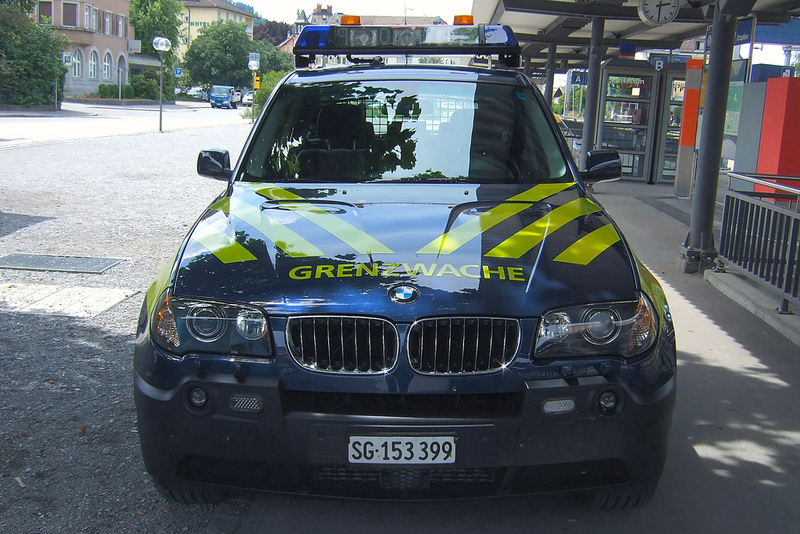 We had our van searched by Swiss customs agents. After about ten minutes, which felt like an hour of trying to convince them that we were just driving around Europe in a van full of gear for fun, they let us through. About five minutes down the road we found ourselves approaching the German border again. Realizing we had taken a wrong turn, we pulled into the nearest driveway, which happened to be the employee parking area for the customs plaza itself. Soon about five guards came running towards us shouting, with their pistols and assault rifles out. Apparently German Border Patrol agents don’t like it when panicked Americans try to avoid them. We were surrounded by angry Germans with guns, had our passports confiscated, and had to wait while one of the guards went to check our papers. We kept insisting that we didn’t even want to go back into Germany. To say it was tense in the van is an understatement. Ultimately they allowed us to turn around and stay in Switzerland, but ever since then we are very careful not to make wrong turns in border towns.